314 N. Barrington Ave, Los Angeles, CA 90049 | Sotheby's International Realty, Inc. 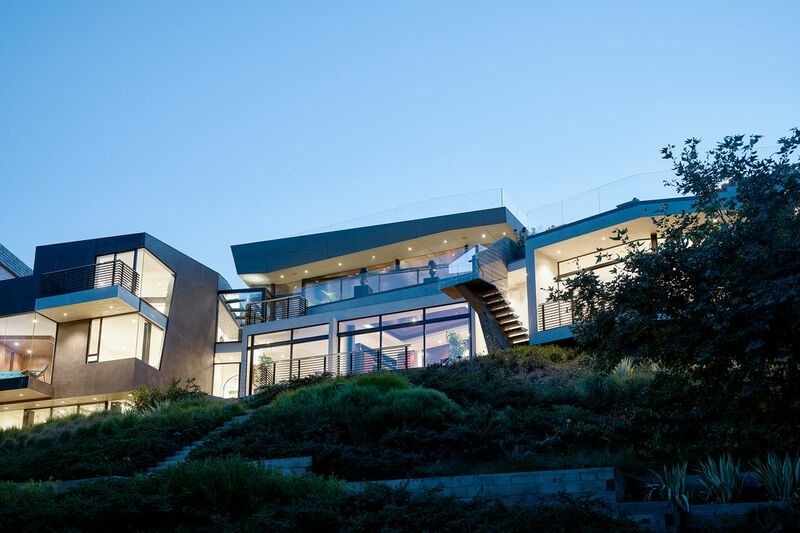 The Barrington Residence, an exquisitely built architectural masterpiece sets the new standard for luxury modern living in Brentwood. 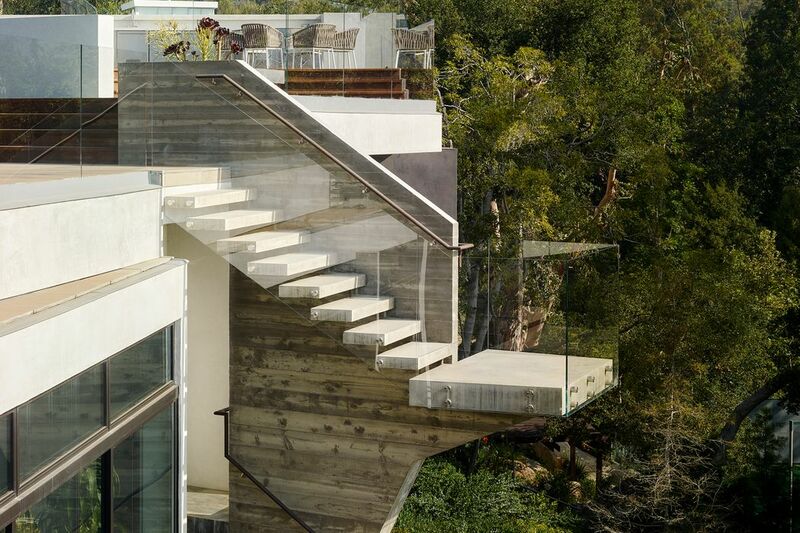 This unique home was envisioned as "cascading planes" by renowned local architect, Eric Rosen. 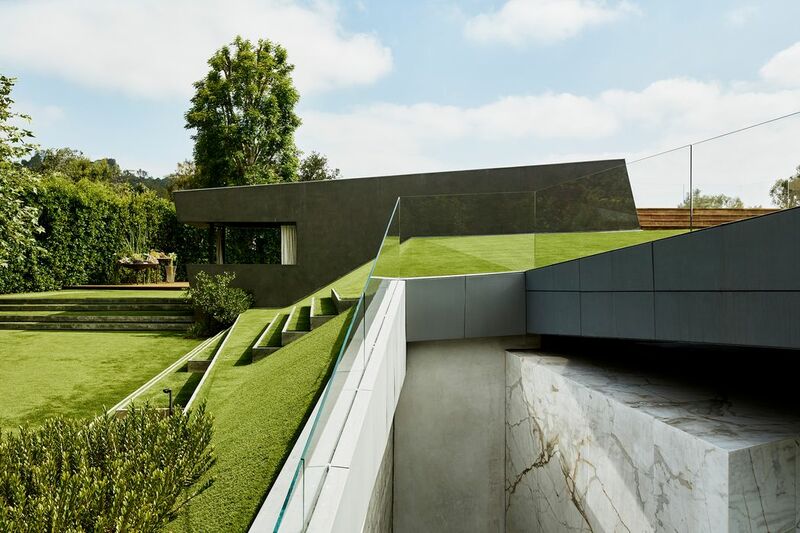 Hidden behind hedges and gates, the ultra-modern design unfolds along the slope of the site in a Z-shaped layout. 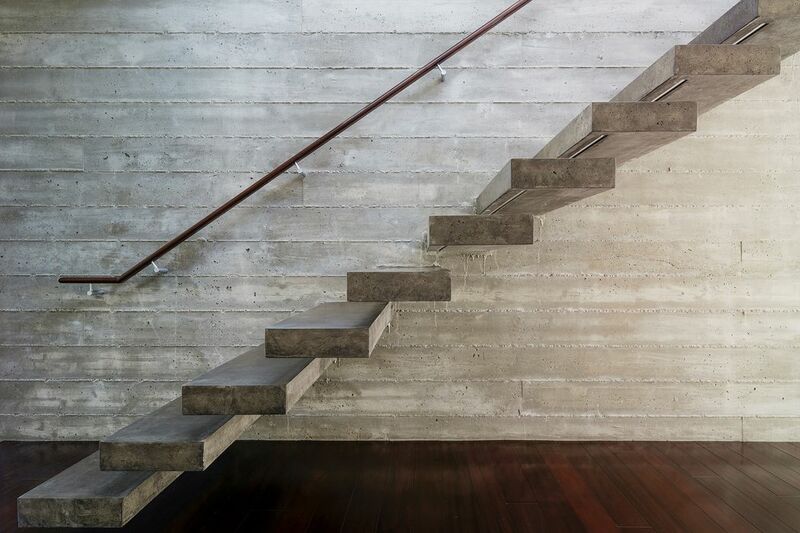 Sleek modern aesthetics of simple geometry have been thoughtfully designed to create comfortable and purposeful spaces. The white marble entry was mined from a single slab in Italy. A top-of-the-line chef’s kitchen & family room, formal dining area, and living room with large bar create seamless spaces for entertaining. The middle level contains a luxurious master suite with his and her closets, four additional en-suite bedrooms and a den. The lower floor houses an office and a playroom which could easily be converted to a private screening room and wine cellar. 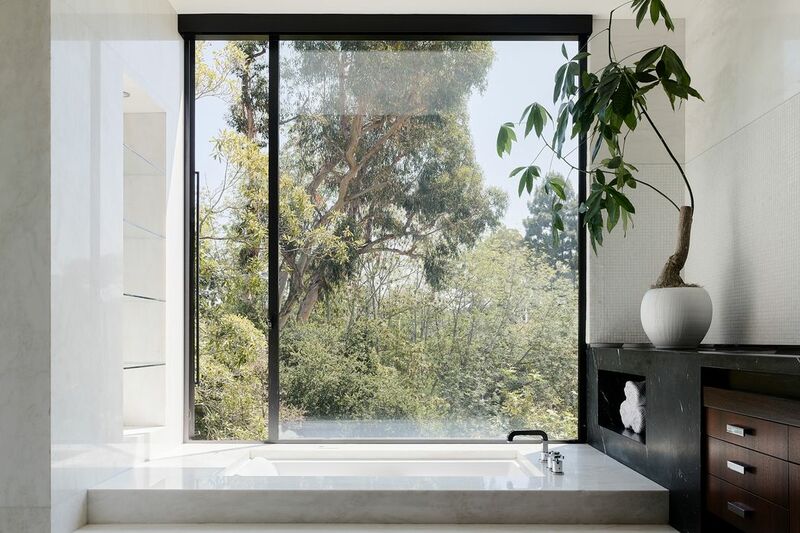 Nearly every room in the house offers canyon & treetop view. The separate pool cabana is framed with scenes of green tranquility. 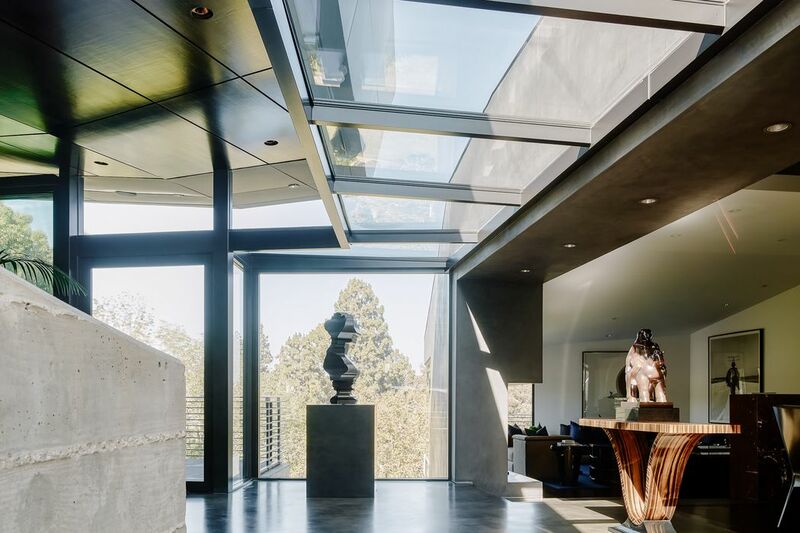 Natural light pours throughout the nearly 9,000 square foot home from the Fleetwood pocket doors and the floor-to-ceiling windows, making this house the embodiment of indoor-outdoor Southern California living. 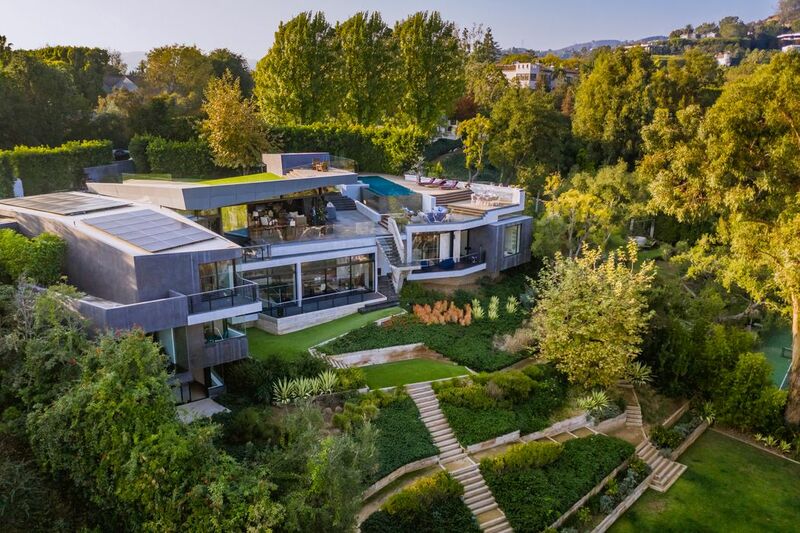 A multitude of environmentally-conscious and energy efficient design elements were incorporated into the home including a state-of-the-art geothermal heating and cooling system, a solar powered ion pool, honeycomb radiant floors, and tankless on-demand water heating. The unique landscape design create spaces that are both inspiring and comfortable. 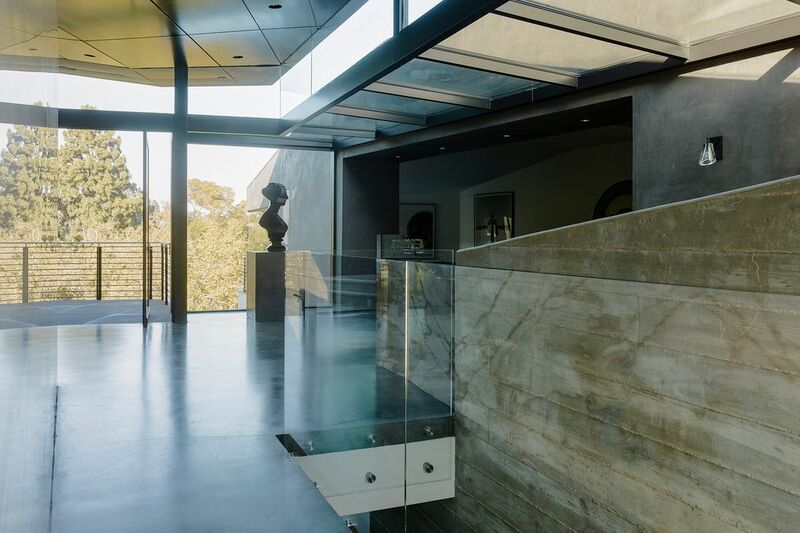 The front elevation features steps leading up to grass-covered roof, which enables commanding and incomparable views of the Getty Center perched on a hilltop to the north. Finally, a large sports court completes the nearly one-acre sized lot. Accompanied by superior hand-selected materials and cutting edge amenities, the Barrington Residence easily stands out as one of the most significant architectural statements on Los Angeles’ Westside. 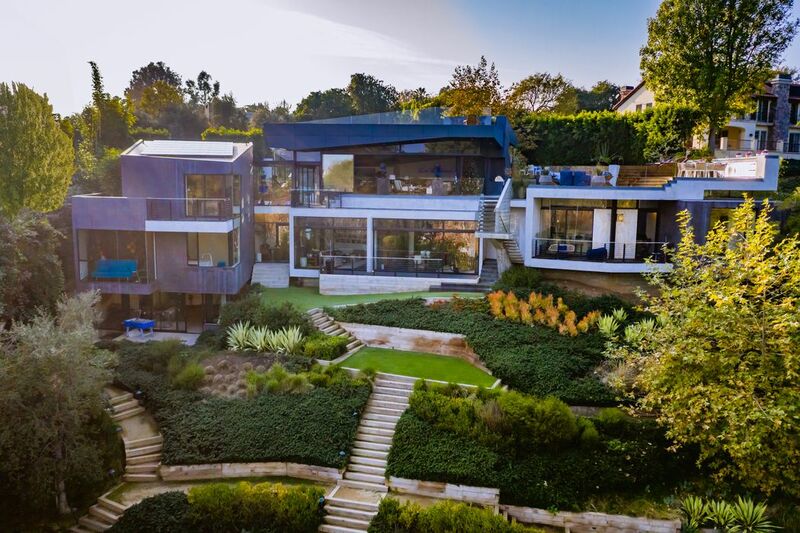 The Barrington Residence, an exquisitely built architectural masterpiece sets the new standard for luxury modern living in Brentwood. 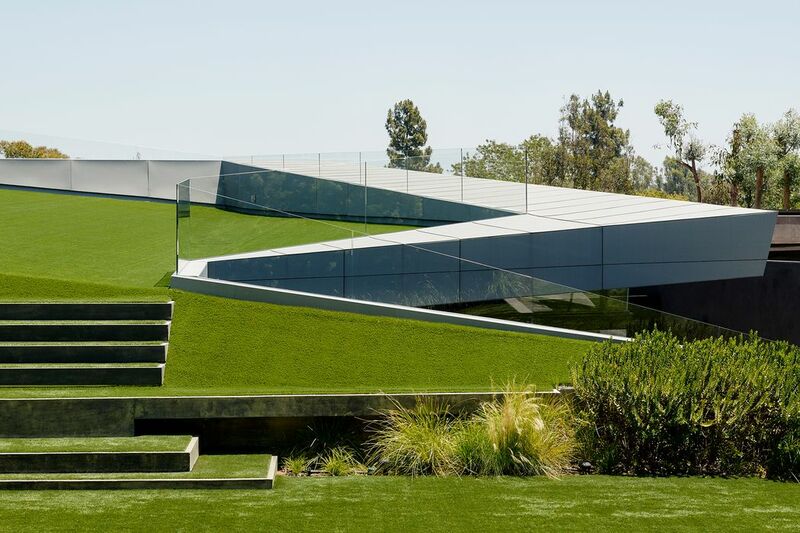 This unique home was envisioned as "cascading planes" by renowned local architect, Eric Rosen. 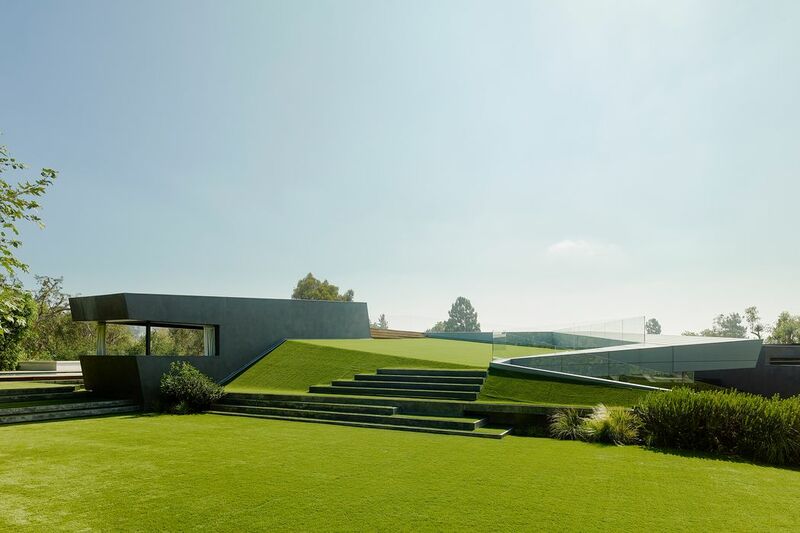 Hidden behind hedges and gates, the ultra-modern design unfolds along the slope of the site in a Z-shaped layout. Sleek modern aesthetics of simple geometry have been thoughtfully designed to create comfortable and purposeful spaces. 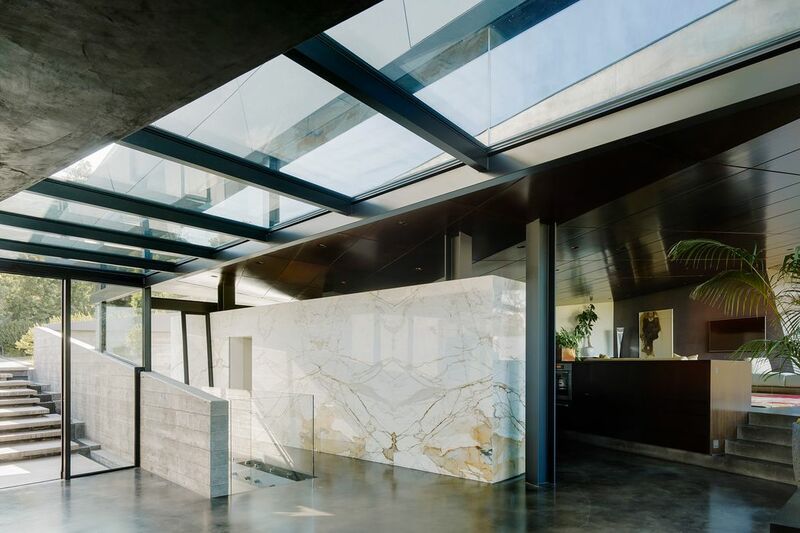 The white marble entry was mined from a single slab in Italy. 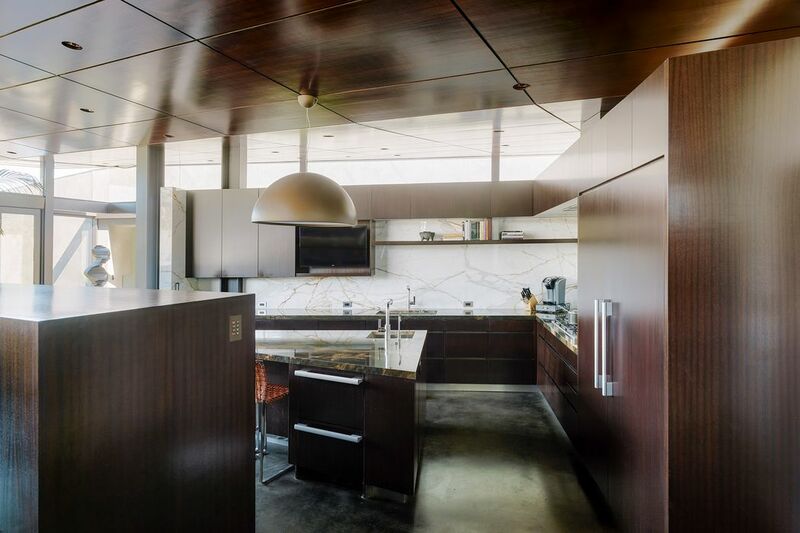 A top-of-the-line chef’s kitchen & family room, formal dining area, and living room with large bar create seamless spaces for entertaining. The middle level contains a luxurious master suite with his and her closets, four additional en-suite bedrooms and a den. The lower floor houses an office and a playroom which could easily be converted to a private screening room and wine cellar. 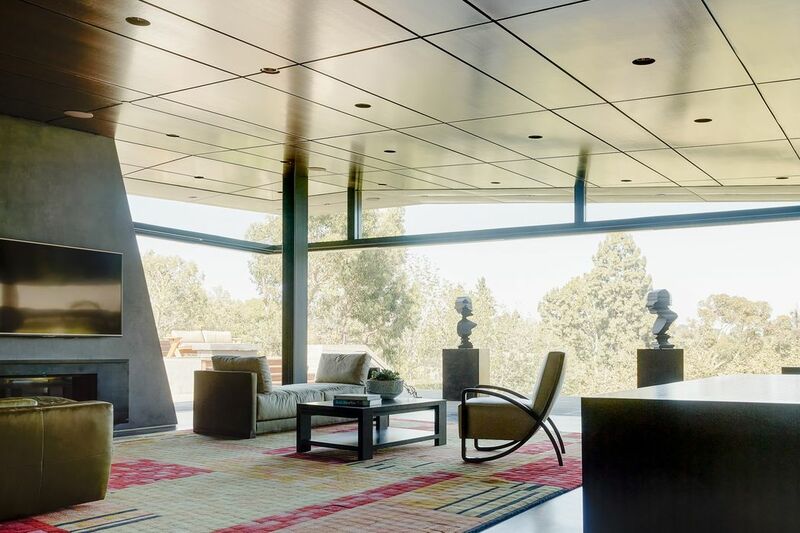 Nearly every room in the house offers canyon & treetop view. The separate pool cabana is framed with scenes of green tranquility. 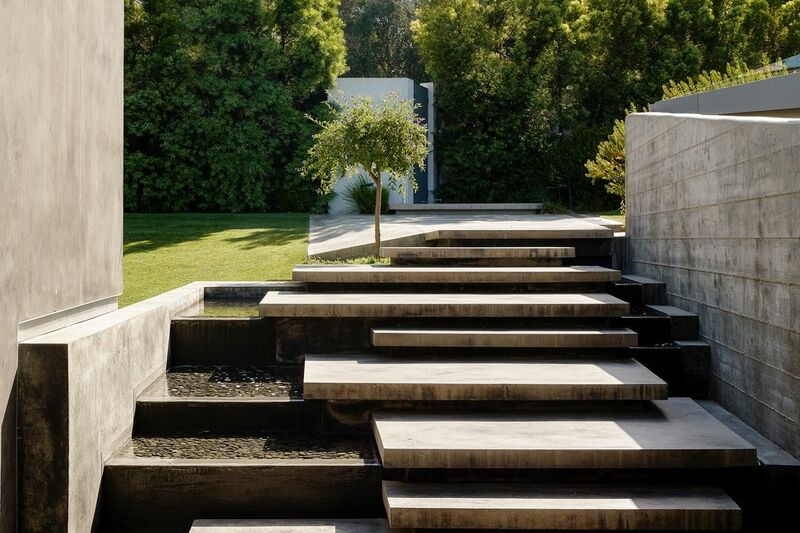 The unique landscape design create spaces that are both inspiring and comfortable. 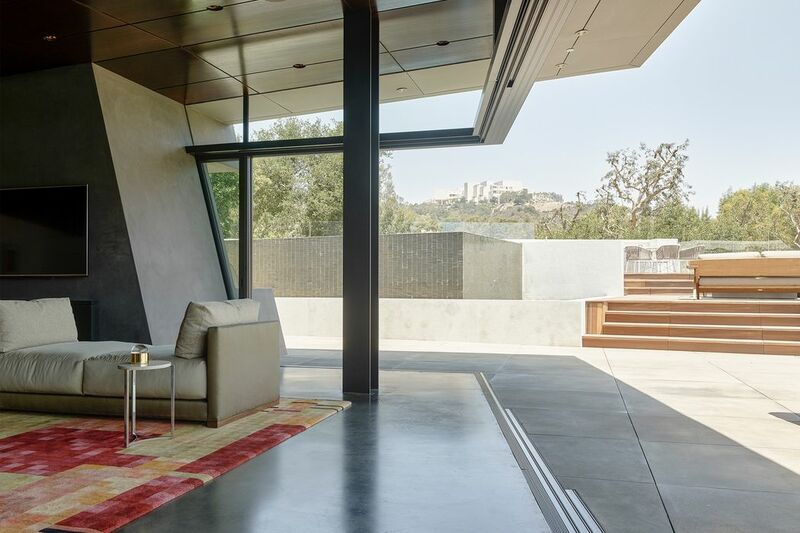 The front elevation features steps leading up to grass-covered roof, which enables commanding and incomparable views of the Getty Center perched on a hilltop to the north. Finally, a large sports court completes the nearly one-acre sized lot. 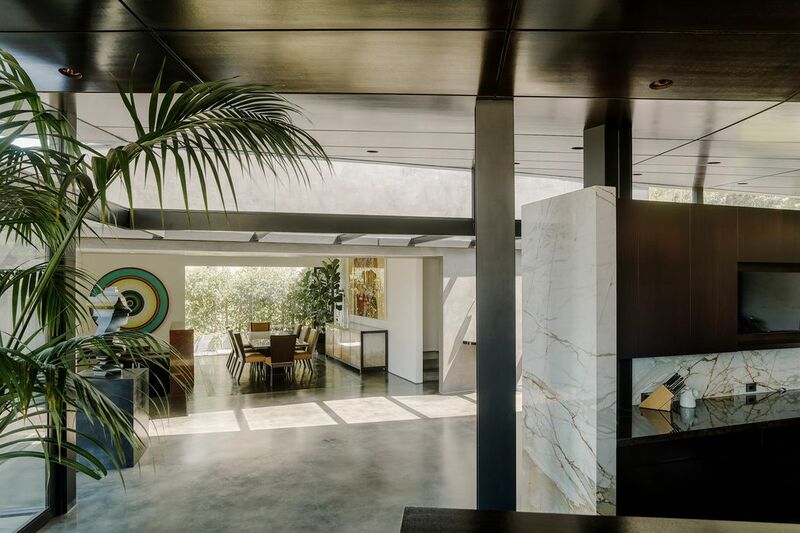 Accompanied by superior hand-selected materials and cutting edge amenities, the Barrington Residence easily stands out as one of the most significant architectural statements on Los Angeles’ Westside.